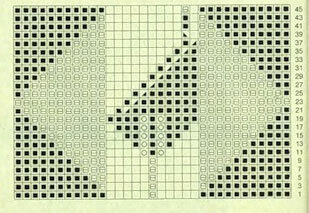 Single Leaf in a Diamond Lace Panel – knitting stitch chart. 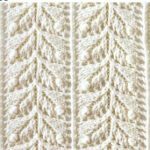 Is there any chance you have the ‘Single Leaf in a Diamond Lace Panel’ pattern written out, rather than as a chart? 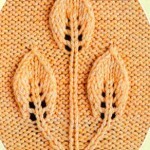 I am also interested I the leaf on diamond background and like yourself prefer written patterns. So I planned on working out the written form and I’m happy to emailbit to you if you’re interested. I don’t know if this offer is still out there or for anyone to take, but I’d love to have a copy. That would be great, Kate – and very generous. Have been traveling, so this reply a bit late. 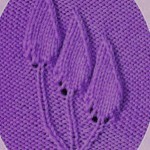 Im also keen to knit the leaf in diamond pattern and haven’t got the knack of reading charts just yet. 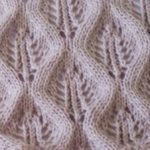 I made up my mind quickly when there was no written pattern that i was going to do it so I’m happy to email it to you. Fantastic, we would really appreciate that, you can post it in the comments section! Thank you so much for your nice site.as i am bigner i couldnt use the patern but i think a perfessional person can .i wonder there is not any way to help me .